Over the past few days, the events in Charlottesville have begun to reverberate in Chattanooga in small but disturbing ways that reflect the larger myopia of the national discourse on free speech and freedom of assembly. It began a couple of days ago with the firing of Terrance Hightower, a worker at the fast food joint Mojo Burrito who was outed by a colleague for attending the Unite the Right rally in Virginia last weekend. Lillie Stubsen, a self-described Communist and fellow burrito maker who informed on him — and I use that term deliberately — believes she has a responsibility to "fight Nazis until the day I die." Apparently, part of that fight involves getting them fired. Stubsen, herself, no longer works at Mojo Burrito either, but she wasn't fired for being a Communist. She quit. Apparently she needs more time to fight Nazis. I don't know Hightower or Stubsen, but I do know a thing or two about Nazis. I know because my mother told me how she hid from them for three months in the basement of a Budapest hospital after they deported her father (who died in Nazi hands) and murdered her mother. I know because my father told me how they arrested him, his brother and his father, and how he escaped death at their hands by lying about being his Jewish father's son. His dad and brother weren't so clever or lucky. The Nazis shot them and threw their bodies into the Danube. I know because Nazis took my mother-in-law to Auschwitz when she was 8, killed her father, took her from her mother, starved her, forced her to push around a cart full of corpses. My wife and I talked about that and other things the Nazis did to our families on our first date. And, yet, for all that, I am deeply disturbed that this young woman got this young man fired for exercising his freedom to march at a rally. Because I know that in America we have a freedom to believe what we believe, to speak our minds, however hateful, and to gather in public with whomever we please. I know about Communists too. Communists don't believe in freedom of speech or assembly. They also take away the livelihoods of people whose ideologies they don't like — when they're not taking away their lives. Communists, people don't seem to realize, have far more blood on their hands than Nazis. According to Holocaust historian, Daniel Goldhagen, Communist regimes "have killed more people than any other regime type." Communists didn't kill any of my family members, but they took my mother's home from her. They called her a lesbian and purged her from one of their indoctrination camps. She and my father, who had not yet met, both had to escape Hungary and be smuggled across the border because the Communists were turning their country into a gulag. They were among the lucky ones because they got out before the Communists completely seized power, before the people rebelled against them and before the Soviets rolled in with their tanks. But for all that, I wouldn't have a Communist fired for aligning herself with such evil. Stubsten, the self-described Communist and anarchist, asserts that if someone goes to a "Klan rally unrobed, they should expect to lose their jobs Monday." Really? So it would be better if the Nazis and the KKK showed up to their rallies wearing masks to protect their faces the way, say, the members of Antifa do? If you don't know Antifa, they are a collective of self-described Communists and anarchists who show up at rallies to shut down the free speech of their opponents by assaulting them with sticks, bicycle locks, flaming cans of aerosol, acid and pepper spray. It's hard to get them fired, though, because no one knows who they are; they hide behind masks. Even if we did know who they are, as, say, we know who Stubsen is, should we deprive them of gainful employment? If we don't allow them to earn a living wrapping burritos, how do you think they will be spending their time? What's to be done, then, when Nazis (or Communists) march in your town? The Jews of Chattanooga know. It happened just a couple of years ago. We, avoided, if not ignored, them. We made our statements on the other side of town; we expressed our voices peacefully, and the Nazis left without the victory of a brawl garnering national attention. I only wish it were so easy to get rid of the Communists. Regardless, I hope both former employees of Mojo Burritos get hired quickly. I hope every Nazi and Communist in America gets a good job that will keep them busy and off the streets. And I hope Americans will wake up and remember the difference between a free democracy and a totalitarian state. 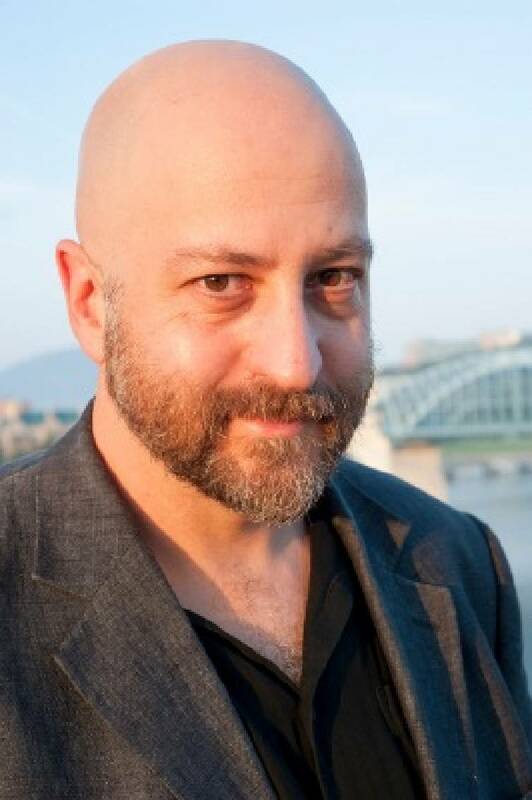 Thomas P. Balazs, associate professor of English at UTC, is a fiction writer living in Chattanooga.